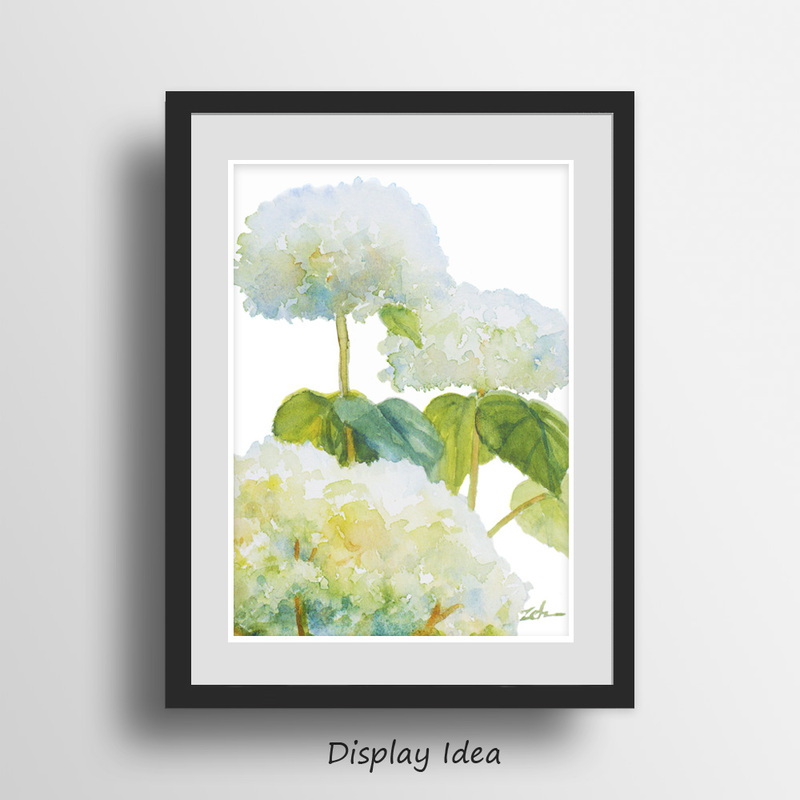 Fresh and summery hydrangea blossoms. 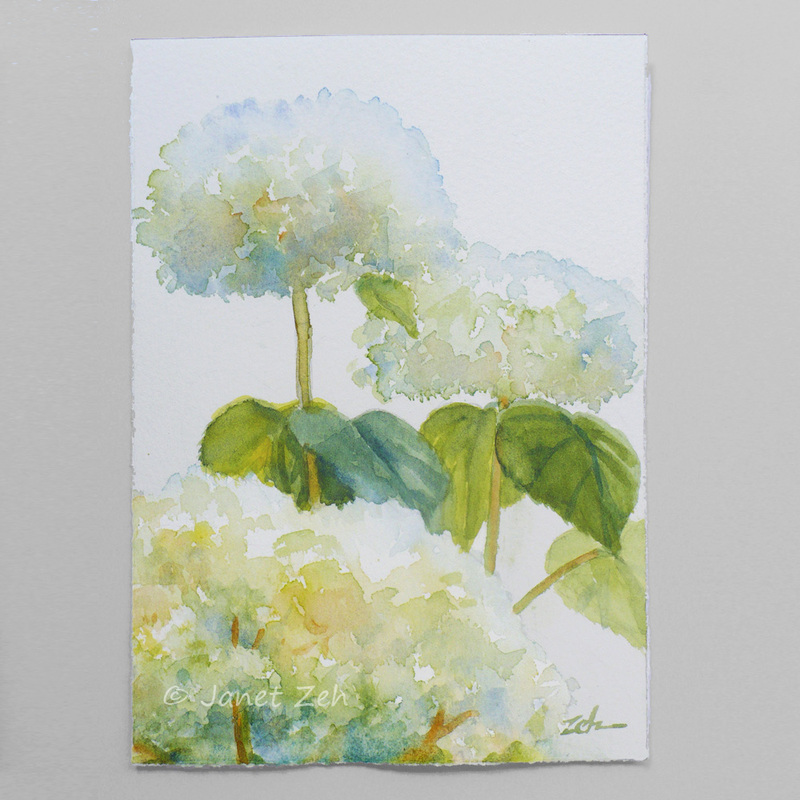 This little painting has the luscious colors of a summer day. 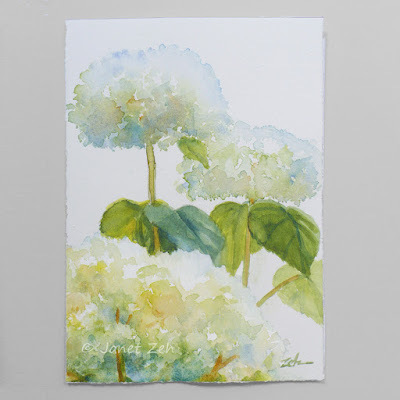 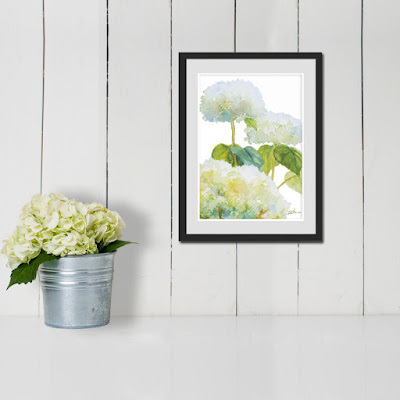 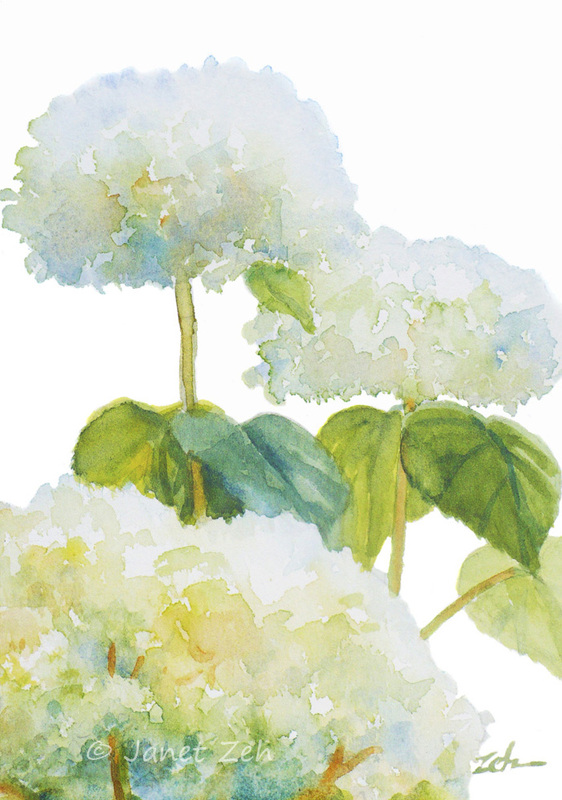 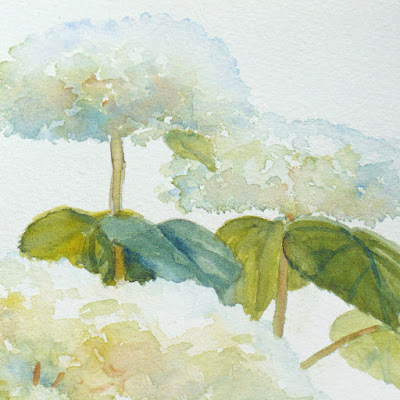 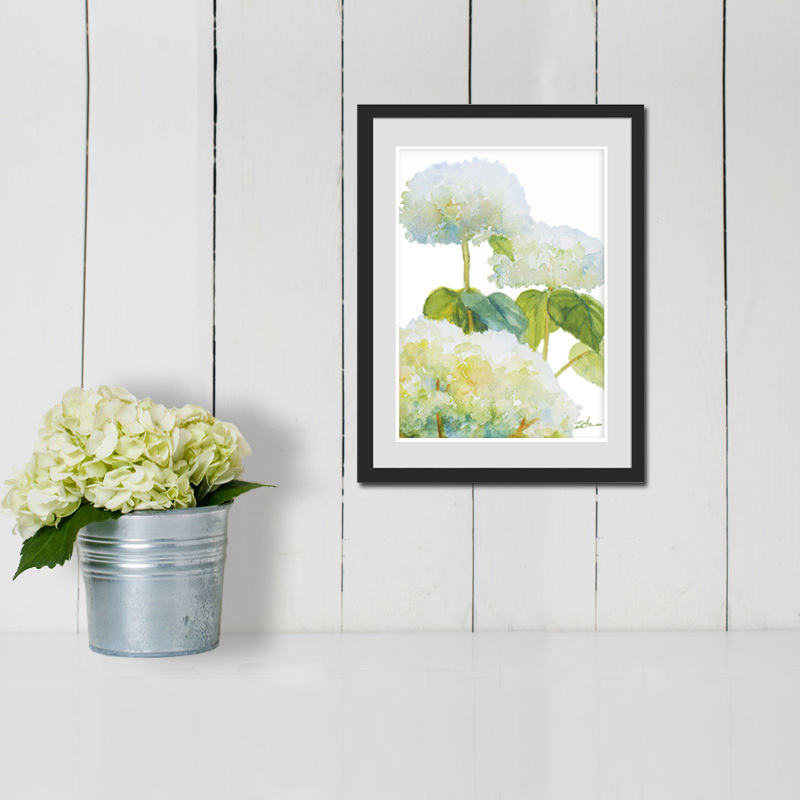 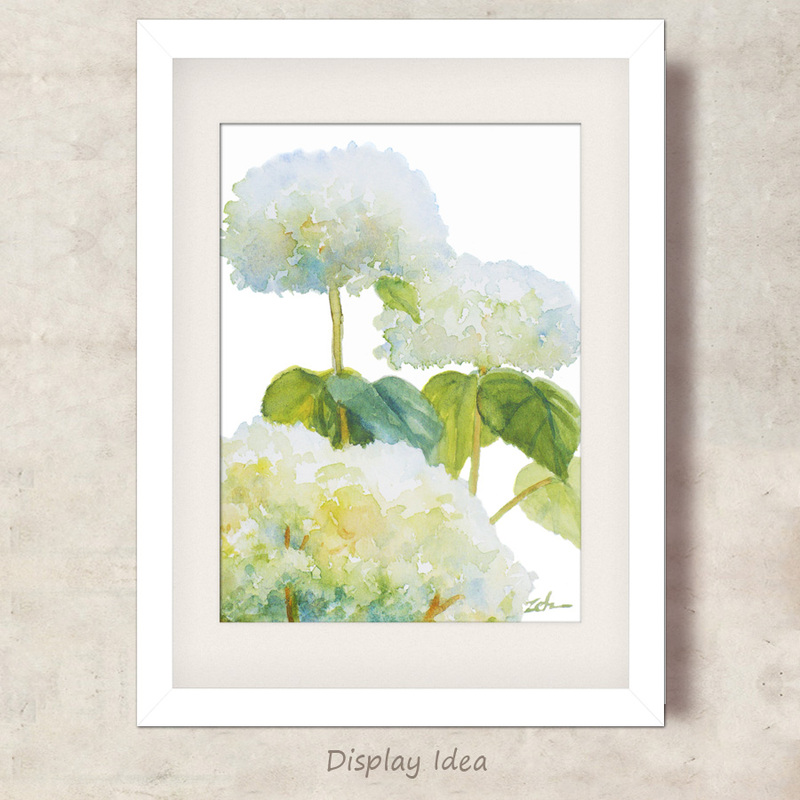 It is inspired by the flowers in my garden and is number 23 in a series of hydrangea watercolors.